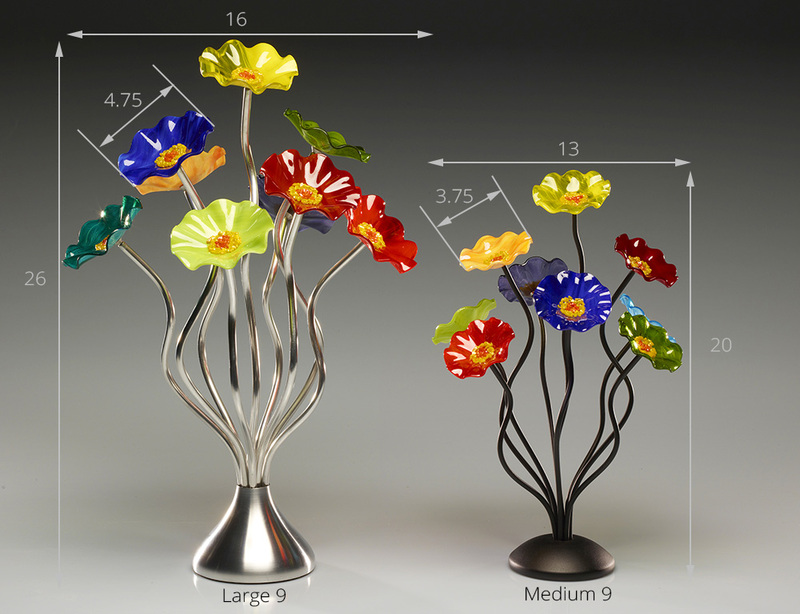 The 9 flower table centerpiece is slightly different than the 5 and 7 flower bouquets in that the flowers face in 360 degrees around the piece, this configuration lends itself much better to being displayed in the center of a table. Images above show the medium and large 9 flower. Please select your favorite color combinations below to be displayed on your 9 glass flower table centerpiece.